Books for sale, Used books for sale, Magazines for sale ads in Sydney. Thank you for visiting our free advertising website Books for sale, Used books for sale, Magazines for sale, Sydney section. We provide high response free classifieds and free advertisement. Use our online free Books for sale, Used books for sale, Magazines for sale classifieds placement system to find, list, offer Books for sale, Used books for sale, Magazines for sale online! Yoga brings a sense of physical and spiritual well-being to those people who practice it and brings suppleness to the body. Our Yoga Guidebook encourages the beginners and experts of yoga to find a yoga sequence which suits their personal abilities and needs. For More Details : http://excelbooks. 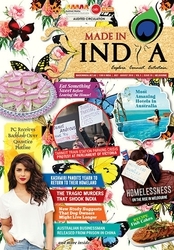 Made In India Magazine is an ethnic Indo-Australian lifestyle magazine bringing multicultural communities, cultures and democracies together by converging Print, Digital and Social media. With 80, 000+ social media followers, 11, 500 magazine subscribers and an audited 186, 000 active newsletter readers, it is one of the leading magazine in Australia. Save Time… Solve the Problem of Information Overload… Solving Information Overload is only the beginning. 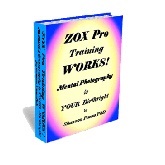 The vast abilities you will gain from using the ZOX Pro Training System has also helped people all across the planet to improve their lives in ways they never imagined. Now its time to improve your Life. Bridge Bookshop, ESL bookstore in Sydney. 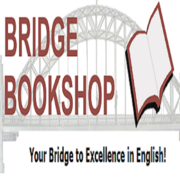 Let us help you learn English for academic purposes with our ESL books, ESL cds, and PTE Books. We cater to Primary, Secondary Schools, Universities, TAFE and more. Contact us today.. I have ICAS past papers from year 2 to year 6 for the year 2010 to 2017. IF you want to buy contact me . below i have given the list of papers. I have year 2 papers (14 papers) Maths : 2013, 2014, 2015, 2016, 2017 English : 2013, 2014, 2015, 2016, 2017 Science: 2014, 2015, 2016 Spelling: 2016 year 3 (26 papers) Maths- 2010-2017 English-2010-2017 Science-2015-2017 Digital technology-2010-2016 Year 4 (22 papers) Maths- 2010-2016 English- 2010-2015 Science- 2010-2016 Spelling-2014, 2016 Year 5 (18 papers) Maths- 2011, 2013, 2014, 2015, 2016 English- 2012, 2013, 2014, 2015, 2016 Science- 2013, 2014, 2015, 2016 Digital technology-2013, 2014, 2015, 2016 Year 6(13 papers) Maths- 2012, 2013, 2015, 2016 English-2012, 2013, 2015, 2016 Science-2012, 2013, 2014, 2015, 2016. 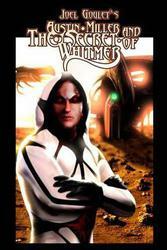 Austin Miller and the secret of Whitmer might be for you. Austin Miller looked upon the alien war lord. Being the first human upon Mars was overshadowed by the shocking discovery of extraterrestrial life. The aliens so expertly masked their true intent. Capable of interplanetary flight, they thought themselves superior. Music And Data Compact Discs Pty Ltd is the name of one of the most reliable and consistent CD and DVD manufacturers of Sydney. You'll be offered competitive prices on high-quality CD and DVD manufacturing from this company that also specializes in unusual packaging and requests at reasonable rates. For details check out here. Good Reading produces a monthly magazine for the book lover. It is devoted to books and reading with profiles of authors, extracts from a latest releases, independent book reviews, a look at what book lovers around Australia are reading and more! Available in print, digital or via our busy online Hub for Book Lovers. Around the world, there are many parents who are daily office goers. It is especially for the working moms out there. We have compiled advices in the form of a guide which will help you know all necessary parenting needs. Use our working mom tips for effective parenting. Allow your child find his true potential. The Hunt For Old Mose! © 2017 by Raymond Cook is a 244 page story about the most terrifying grizzly bear roaming central Colorado in 1876. 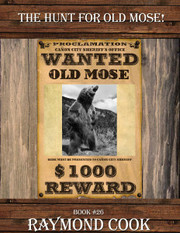 The bear was nick-named Old Mose after a rancher saw it moseying away from an elk it had killed and eaten. The fact was Old Mose was actually a five year old a sow with two claws missing off her left hind foot. Sell your 2nd hand or even new household items on Expat Roof, Saudi Arabia's #1 buy and sell website dedicated to expats. Post free online classified ads of your used elect. See more here: http://expatroof.com. Hazrat Sultan Bahu (RA) Sufi saint known as haqbahu (R) is from the progeny of Hazrat Ali (RA). This is a direct descended from Hazrat Ali (RA). We at haqbahu.com bring you all original books written by Hazrat Sultan Bahu, you can read all book free in haqbahu.com. Contact Us: Florabunda Lane Elderslie. We have just started an online book shop with unusual and odd hard to find books. Our prices are as cheap as possible and we are happy to send via Australia Post. A whole variety and range of books...now we need customers.. In the story yarned by Ian Irvine in The Last Christmas, the much-discussed environmental crisis of Global Warming is dramatised in a manner of fantasy adventure. Two playing reindeers of Santa Claus suddenly meet the life-threatening crises. Later on they find that it is an evil disaster stricken at the North Pole to engulf it whole. The Last Christmas by Ian Irvine throws lights on the predominant environmental issue of Global Warming and its harms inflicted on the North Pole. 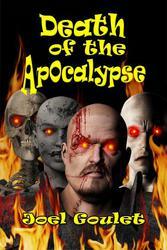 In the guise of a fantasy adventure the book grab our attentions to this alarming fact. The speedy reduction in the size of the ice sheets at the North Pole compels us to think seriously about the crisis. The Last Christmas starts with a crisis taking place amidst a bleak and barren landscape in the North Pole where chunks of ice suddenly start breaking apart. This gives enough reason to Santa Claus and his associates to delve deep into the matter. After a dramatic meditation they find that global warming is taking away the ice from the North Pole. The Last Christmas is a dramatic fantasy adventure with a deep underlying tone of danger on the flora and fauna of the North Pole. Due to our mindless usage of coals and oils we give rise to the greenhouse gases which are ultimately responsible for global warming. In the North Pole, the direct victims of global warming are the artic animals. Under the foil of fantasy adventure The Last Christmas upholds a grave message particularly relevant to the eco-balance of Arctic region. As Global Warming extends its hands further the harmful effects become prominent at the North Pole. Its ice is melting fast. This is a warning to the stability of the North Pole. The Last Christmas is a witty fantasy adventure, wrapping up the grave tone of danger looming over the eco-system of Arctic region. Due to the evil effects of global warming ice in the North Pole is disappearing fast, and so are the endangered species there. It is time for us to act wisely. We must take care of the eco-balance of the North Pole and save the Arctic, for which we need to be a little considerate towards nature. Global Warming is taking its toll and ice at the North Pole is disappearing fast. The harmful effects are prominent all over the North Pole. The Last Christmas has this issue as the the immediate crisis in the story under the cover of a witty fantasy adventure. The message behind the story leads us towards a stark reality. The exceeding global warming has resulted into the melting of the ice of the North pole and this has put the lives of the inhabitants in the danger causing the life-threatening situations. This even has put the existence of the Santa and his reindeers into danger as well. The Last Christmas depicts these situations very beautifully questioning the humanity and each human. In The Last Christmas, the predominant issue of global warming has been depicted amidst the setting of Santa Claus and his associates in the North Pole. Ice at the North Pole is melting and as a result chunks of huge ice layers are breaking apart. Everyone including Santa Claus becomes so worried about it that an urgent assembly has been called for. The Last Christmas book is written for the children and all the book lovers. The book depicts the present situation and raises some serious questions. The continuous global warming has led into the climate change and resulted in the melting of the north pole, rising of the sea level. All this in whole has caused the life-threatening situation for the animals living in the North Pole. Written in collaboration of Ian Irvine and Roland Kulen, Last Christmas is a book written for the children and book lovers. 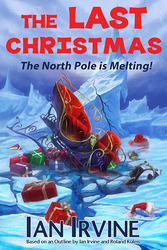 The book portrays a fantasy adventure that begins in Santa’s village residing in the North Pole and focuses on the melting of the ice in the North Pole and rising sea levels that are making the lives of the creatures living in the North pole harder. Specifications Double A A4 Copier Paper 80 gsm 100% Pulp. Professional services & 100% quality guarantee. Competitive prices Double A A4 Copier Paper 80 gsm 100% Pulp. Professional services & 100% quality guarantee. Competitive prices Xerox is a High quality paper renown for its excellent performance and environmental friendly attributes is suitable for photocopies, printing with inkjet and laser printers and offset preprints. Yatan Yoga Books Therapy- Yoga Books (yoga for beginners) by reading you will learn various other types of yoga poses & yoga positions which you can practice as yoga in daily life and also you can do yoga at home. Buy online at best prices in Australia! Copy the below link to read more information about Yoga Books (Yoga for Beginners) http://yatan-ayur. This is an EBook which is a compilation of mystical Stories by the author Graham Adams.This compilation, and each of the individual books are available on Amazon. The stories are well written and fall into the 'easy reader' category, and are so compelling that they are very hard to put down!. READING MADE EASY - LESS STRESS MORE FUN! 8 BOOKS - $6.62 Worried about your child's reading? Are you looking for a fun way to teach your child to read? Are you having difficulty finding good books at a reasonable price? - Kittby eBooks are suitable for: Children in KG/Year One Older children/adults. Australia free ads for Books for sale, Used books for sale, Magazines for sale, Sydney, Books for sale, Used books for sale, Magazines for sale free ads Sydney, Books for sale, Used books for sale, Magazines for sale for sale Sydney, Books for sale, Used books for sale, Magazines for sale to buy in Sydney. Find on this page free classifieds for Books for sale, Used books for sale, Magazines for sale in Sydney. This listing includes classifieds for sale and to buy in Sydney. FREEADSAustralia Sydney offers you a platform to post free advertisements or classifieds for Books for sale, Used books for sale, Magazines for sale in Sydney. FREEADSAustralia helps you search, find buy, sell, rent or hire in various categories like apartments, goods for sale, local services, cars , jobs and many more in Sydney. If you posted an advertisement in category Books for sale, Used books for sale, Magazines for sale of FREEADSAustralia Sydney before please use Edit my ads button to change or cancel your ad. Books for sale, Used books for sale, Magazines for sale Sydney ads Sydney, Books for sale, Used books for sale, Magazines for sale classifieds Sydney, Books for sale, Used books for sale, Magazines for sale free ads Sydney, ads for sale Sydney, ads to buy Sydney, FREEADSAustralia. Find here ads for sale, to buy and rent in Sydney. Goods for sale in Sydney, vehicles for sale in Sydney, Sydney real estate for sale, Sydney property for sale, property for rent in Sydney, business ads in Sydney, Sydney business classifieds, services in Sydney, Sydney services ads, jobs in Sydney, pets for sale in Sydney, Sydney dating, Sydney cars for sale.